Change Your Oil! Or Not. Oil chemistry and engine technology have improved to the point that most cars can go several thousand more miles before changing the oil, Mr. Reed said. A better average, he said, would be 7,500 between oil changes, and sometimes up to 10,000 miles or more. You know, I’ve never changed my oil every 3,000 miles. 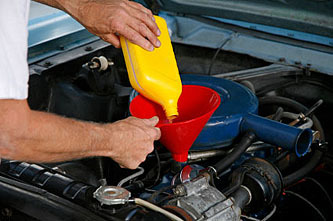 Every car I’ve owned, going back to about 1980, I’ve changed the oil every seven or eight thousand miles and I’ve never had any problems. No unusual engine wear, no weird noises, no parts wearing out, no nothing. My current car (ten years old) almost seems to not even use any oil. I can drive it five or six thousand miles and it’s not even down a quart. More like a pint. Or less. At this point, I have a feeling I might not ever get an oil change again in my life if it weren’t for the fact that it happens automatically when I take the car in for routine service every year or two. So far, no problems after a decade. Will I regret this slothful attitude someday?